I just realized that I haven’t done a hair post in a while. 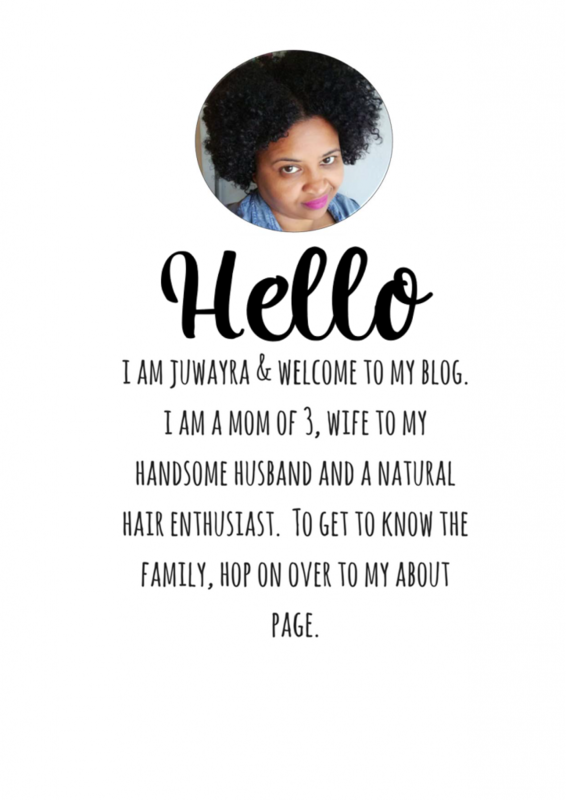 I can’t seem to figure out why since my hair, and taking care of my hair and also my kids’ hair is so important to me. And for those who does not know, I have quite a few curly heads in my house meaning different types of textures and curls. Lucky me! Taking care of everyone’s hair also means that I have to know what everyone needs. The fact that everyone is wearing their hair natural doesn’t necessarily mean that all of us have the same type of hair or can use the same products. This is something most naturals get wrong. Not knowing their hair, something I firmly believe in, can be detrimental to the health and state of your natural hair. The easiest way to figure out your hair is knowing the porosity of your hair. Hair porosity refers to your hair’s ability to absorb and retain moisture. 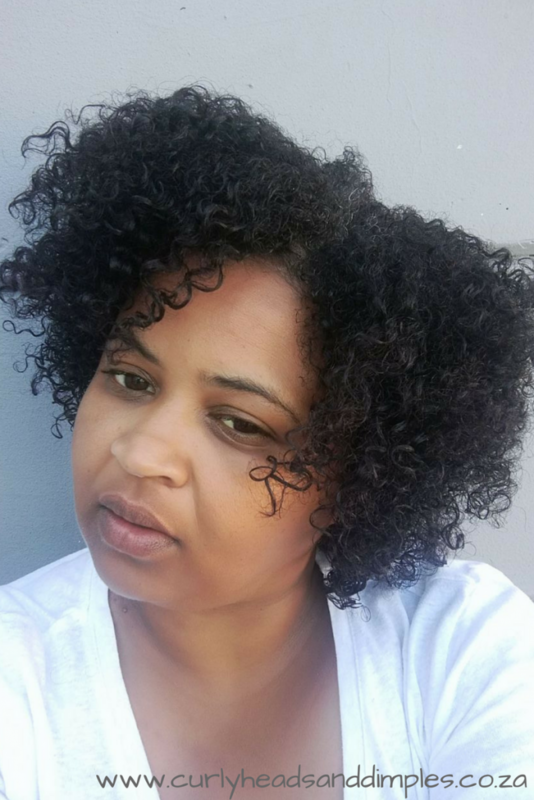 Why is the porosity of your hair so important? Having healthy hair is hair that is well moisturized. Knowing the porosity of your hair you will be able determine which products to use and how to use these products to attain healthy hair. In a previous post I’ve touched on the hair cuticle and the function thereof. Determining the porosity of the hair means that we need to look at the state of the cuticle layer of the hair strand. The hair cuticles appears tight or “closed” preventing the hair from absorbing moisture, be it from water or products. As explained in the post here, the hair cuticle is similar to the scales of a fish. In high porosity hair, the layers are much more loose which allows moisture to quickly enter the hair but also, leaves as well. In this case the hair cuticle is not to tight or to loose meaning it absorbs efficient moisture and also loses some but not quite too much. 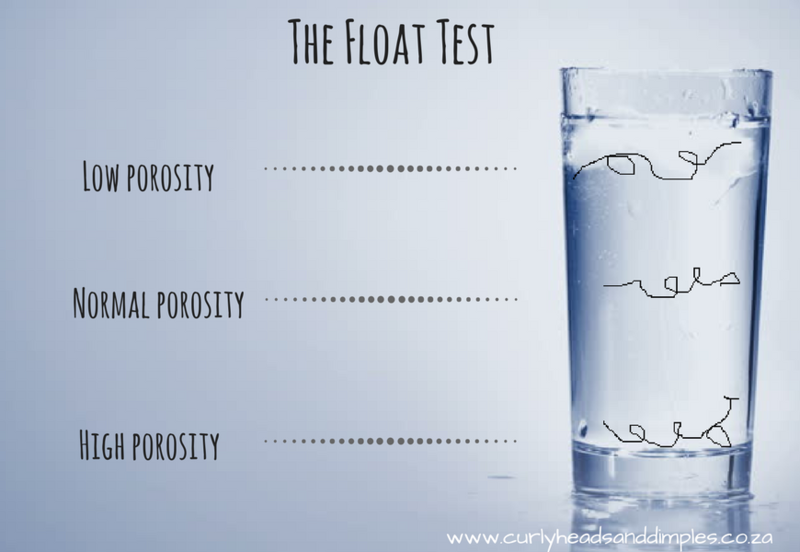 How to determine the porosity of your hair? There are three types of tests that can be done. Just note that some people feel that it’s not accurate but you can decide how you feel about it yourself. This is the most common test. Put a strand of your clean hair in a glass of water and let it sit for about 2 -5 mins. If the hair sink to the bottom of the glass, your hair absorbed the water and means that it is high in porosity. If the hair floats on the water, this means that you have low porosity hair. If the hair sinks down to the middle of the glass, it means your hair has medium porosity. Preferably done on dry hair, take a spray bottle with water and spray on your hair. 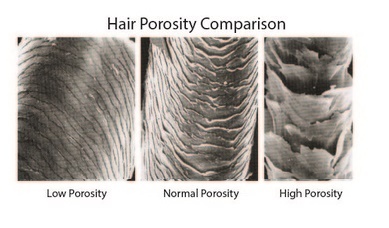 If the water disappear in your hair (is absorbed), you hair is high in porosity. If you find that there’s beads of water sitting on top of your hair, not soaking in, it means your hair is low in porosity. What you need to do here is grab a strand of hair and slide your fngers up and down the hair. If it feels smooth it means your hair is low in porosity. If it feels a bit rough or bumpy, it means you have high porosity hair. There are many ways to temporarily change the porosity of your hair and one of it is by using the correct products for your hair. Look out for the next post where we will discuss this further. PS : If you have enjoyed this post and wants me to do more it in future, leave a comment below with topics you’d like me to discuss. One of the must détails article about porosity of hear. Thabks oooh Sister.